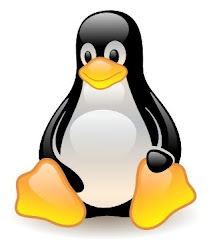 Assumptions: Linux OS, ext2 or ext3 file system. Starting with GNU coreutils release 5.3.0, dd on Linux includes options 'iflag=direct' and 'oflag=direct'. Using these with the dd commands below should be helpful, because adding these flags should avoid any interaction with the block buffering IO layer in Linux and permit direct reads/writes from the raw device. Use 'dd --help' to see if your version of dd supports these options. If not, build the latest code from fttp://alpha.gnu.org/gnu/coreutils. In this example, the disk is failing self-tests at Logical Block Address LBA = 0x016561e9 = 23421417. The LBA counts sectors in units of 512 bytes, and starts at zero. The partition /dev/hda3 starts at LBA 5269320 and extends past the 'problem' LBA. The 'problem' LBA is offset 23421417 - 5269320 = 18152097 sectors into the partition /dev/hda3. You can see that this is an ext2 file system, mounted at /data. In this case the block size is 4096 bytes. and (int) denotes the integer part. Note: the fractional part of 0.125 indicates that this problem LBA is actually the second of the eight sectors that make up this file system block. NOTE: THIS LAST STEP HAS PERMANENTLY AND IRRETRIEVABLY DESTROYED SOME OF THE DATA THAT WAS IN THIS FILE. DON'T DO THIS UNLESS YOU DON'T NEED THE FILE OR YOU CAN REPLACE IT WITH A FRESH OR CORRECT VERSION. Now everything is back to normal: the sector has been reallocated. and one can see above that there are 3 sectors on the list of pending sectors that the disk can't read but would like to reallocate. which shows that the seventeen sectors 35495735-35495751 (inclusive) are not readable. which is encouraging, since the pending sectors count is now zero. Note that the drive reallocation count has not yet increased: the drive may now have confidence in these sectors and have decided not to reallocate them.. So what I suggest in the case of presence of Current_Pending_Sector/Offline_Uncorrectable errors is to create a huge file on that filesystem. creates the file. Leave it running until the partition/filesystem is full. This will make the disk reallocate those sectors which do not belong to a file. Check the "smartctl -a" output after that and make sure that the sectors are reallocated. If any remain, use the debugfs method. Of course the usual caveats apply - back it up first, and so on. * In which physical partition is the bad block ? It's in the /dev/hdb3 partition, a LVM2 partition. We have to find in which LVM2 logical partition the block belongs to. * In which logical partition is the bad block ? *IMPORTANT* : LVM2 can use different schemes dividing its physical partitions to logical ones : linear, striped, contiguous or not... The following example assumes that allocation is linear ! The physical partition used by LVM2 is divided in PE (Physical Extent)units of the same size, starting at pe_start' 512 bytes blocks from the beginning of the physical partition. To get its size in LBA block size (512 bytes or 0.5 KB), we multiply this number by 2 : 4096 * 2 = 8192 blocks for each PE. So the PE #4418 is in the /dev/WDC80Go/ext1 LVM logical partition. If this dd command succeeds, without any error message in console or syslog, then the block number calculation is probably wrong ! *Don't* go further, re-check it and if you don't find the error, please renunce ! Instead of all of this you could just install and use the hdrecover program. You sure can, this shows how things used to be done some time ago, and it's a good primer on tools and methodologies for troubleshooting disk problems. very good article, I could learn a lot. thanks!